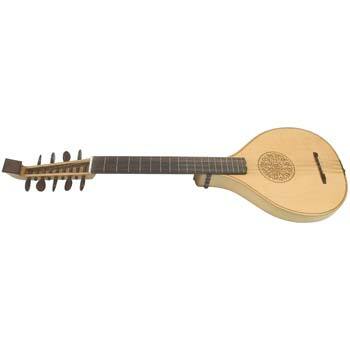 An instrument popular during the Renaissance (c. 1500-1700) which evolved from the citole. The cittern was a plucked string instrument related to the lute, with a lute-shaped front soundboard, but with a flat back and longer neck. There were more frets on the cittern than on the lute (the cittern having 18-19 frets), and the cittern's four to six courses of strings were made of wire rather than gut.